LORENZ Life Sciences: eSolutions | LORENZ drugTrack | What's new? It is now possible to search for underlying objects immediately from the higher level object. 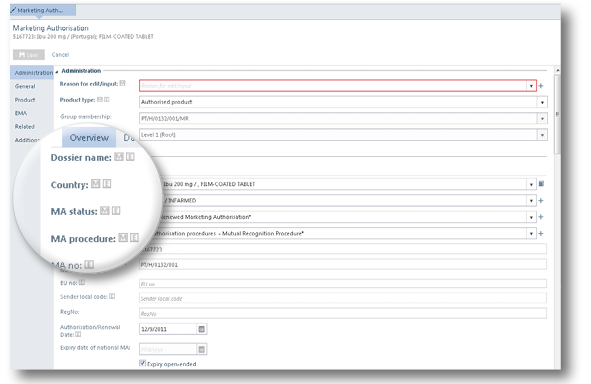 Within marketing authorizations, you are now able to search for and filter by substances or other criteria. 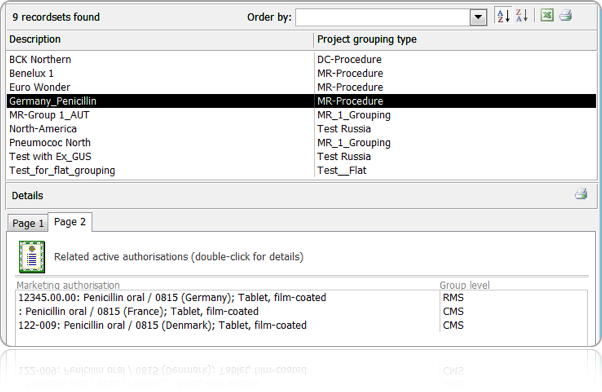 The browser client is now capable of editing and validating all information in a marketing authorization. This enables the managing of all EVMPD-relevant changes in the new web client. The desktop client has been enhanced in order to receive 3rd ACK messages coming from the EMA, as a quality review of EVMPD messages. The scheduler service has also been extended to support this task. Prepare to be Stunned: A Brand-New Web User Interface! 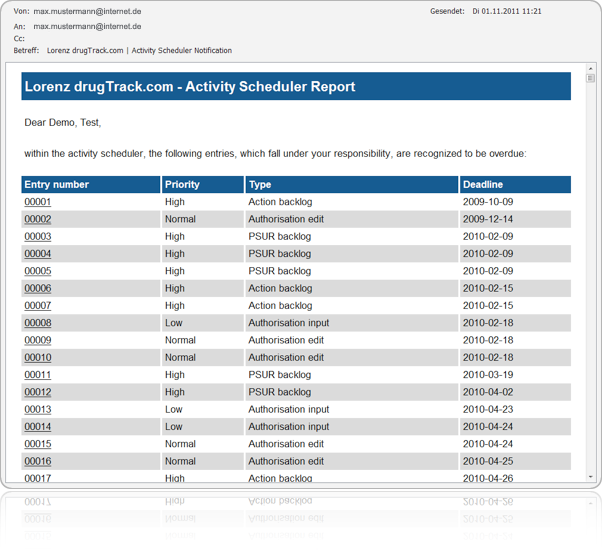 LORENZ drugTrack 5 now boasts a brand-new web user view client. Based on feedback from user interviews, the new client was consciously designed to provide an enhanced user experience. When working with the new client, you will notice that Navigation within your Product and Regulatory Information is greatly improved. 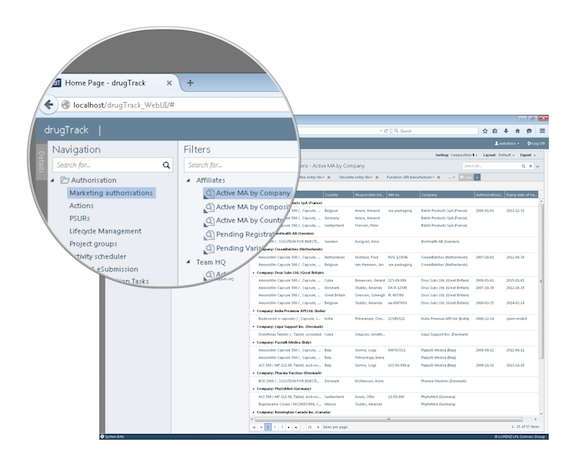 With drugTrack 5 you can find the required data directly and can seamlessly navigate through your data. If you didn´t know, you wouldn´t think it was a web interface! 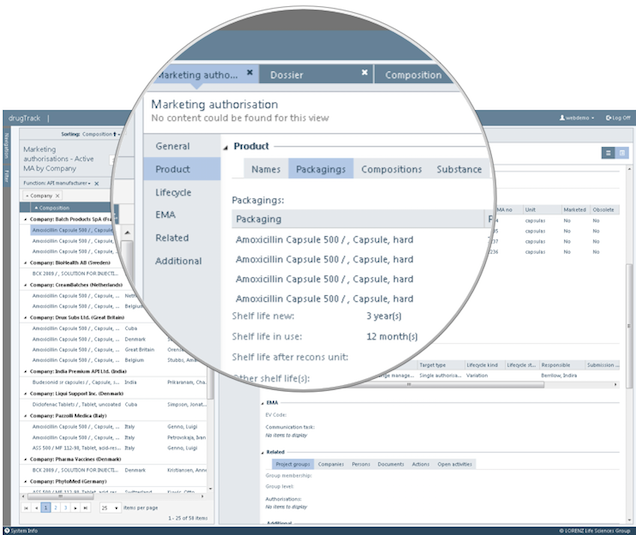 drugTrack now provides a new configurable layout that allows you to display detailed product information in a structured format. The new Details Scroll-bar allows you to jump directly to the area of interest and new Tabs provide additional layout options. 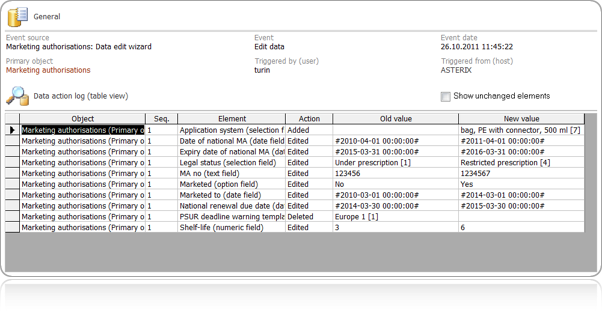 In addition, companies can configure a Summary Page which includes all information relevant to their work-environments. When complying to external standards that you do not control, such as the xEVMPD standard, you are faced with continuously changing vocabulary lists. With drugTrack, you can now automatically update these vocabulary lists. drugTrack will guide you through the entire update process, let you know which records may be affected (if any), and help you make alternative choices. There is no longer a need to be worried about changes you cannot control. Some registrations are connected. For example, if you use Mutual Recognition procedures to register your product then you can now create a group of selected registrations and share data between them. You can now highlight all changes made within one marketing authorisation very quick and easy. Time consuming comparisons between the older and the newer version of one marketing authorisation is no longer needed. The marked entries tell you what has changed between the versions. You want to have e-mail notifications of all the due dates from your regulatory lifecycle? You do not want to open the program every morning to see what tasks you have for today? 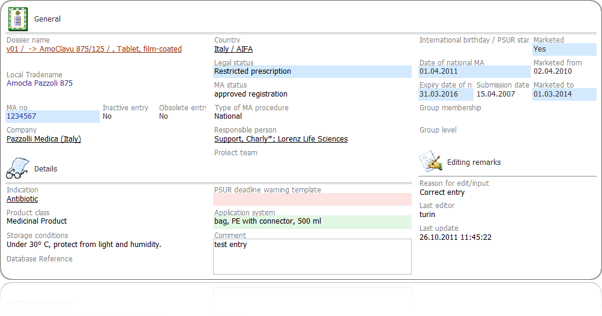 With the new version of drugTrack you will receive an e-mail notifications for all marketing authorisations that need to be renewed, PSUR that have to be filed and all other actions with other due dates you have entered. So you will never forget what to do next to fulfil all your deadlines. 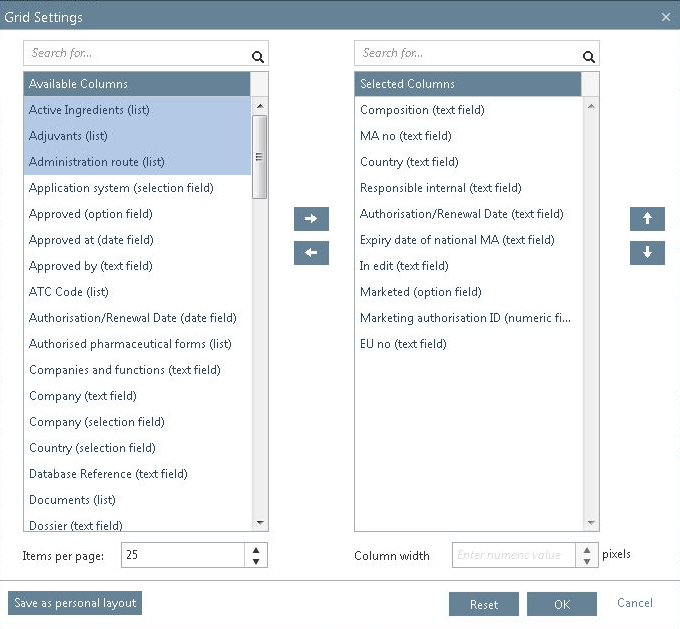 An audit trail is available with the new version of drugTrack. 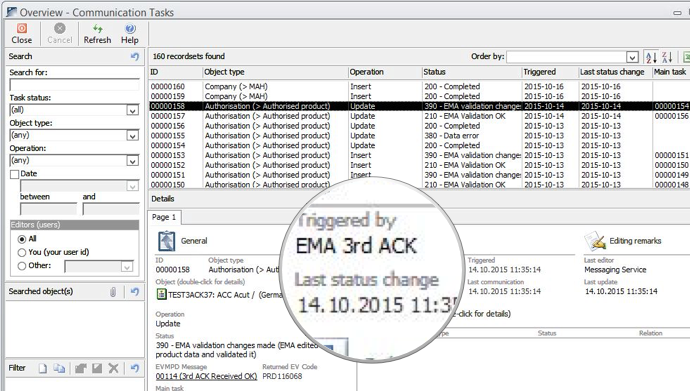 Administrators can easily view and report on any changes within the user interface. 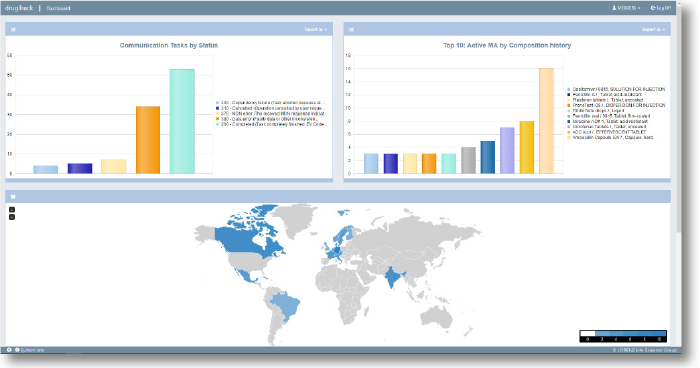 drugTrack now offers a dashboard with pre-configured filters which provide exportable information. Clicking on a chart will open a Details Pane that displays the relevant information.